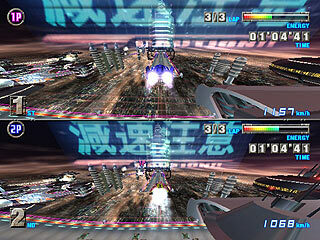 Extra: Memory Card data exchange with F-Zero AX (arcade). 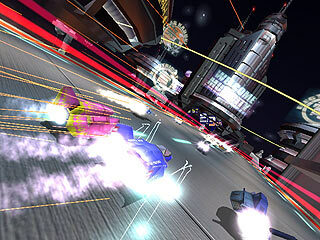 "Nintendo and SEGA�both accomplished masters of high-speed fun�have collaborated to create the fastest, most visually stunning racing game ever! 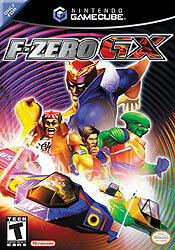 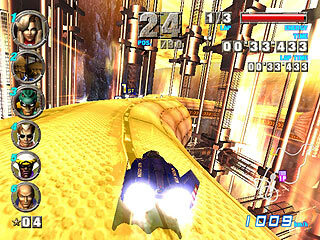 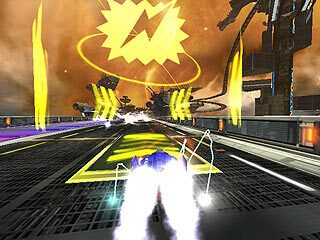 F-Zero GX is the race to end all races, as fearless pilots risk everything to claim the title of the top speedster in the universe. 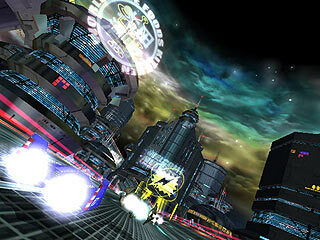 Captain Falcon and 29 other pilots head to exotic star cities, like the neon-lit Mute City, lush Green Plant, wealthy Port Town and the storm-wracked streets of Lightning to race at supersonic speeds. 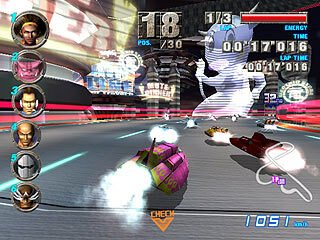 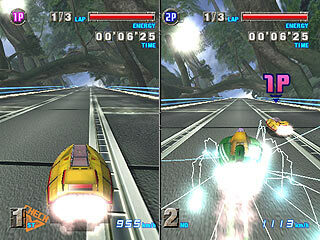 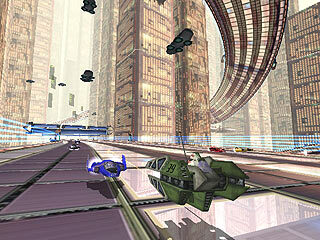 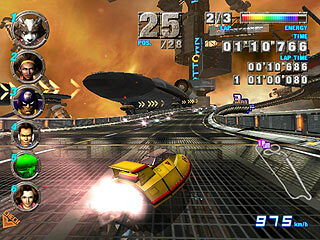 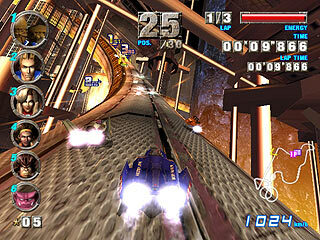 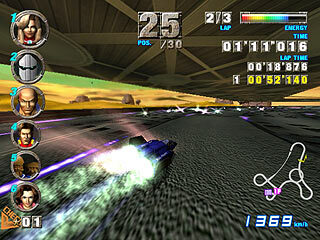 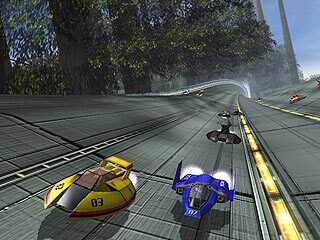 In addition, players can save their racer to a Memory Card and race with it at arcades on F-Zero AX." 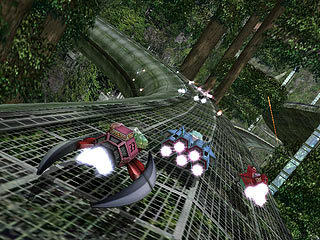 - Race a home-built, custom machine in the arcade or bring your Memory Card and transfer additional pilots and all kinds of custom parts from the arcade version to the Nintendo GameCube"
This was one of the first GC games I bought. 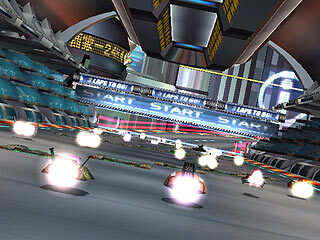 First it was quite easy, but when I came to Emerald, Diamond and AX cup, it was nearly impossible. 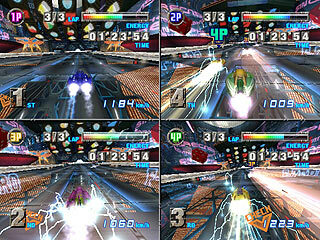 Still it was very fun. 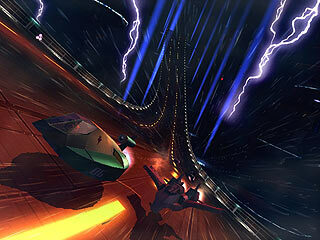 The story mode got hard even at the normal mode. 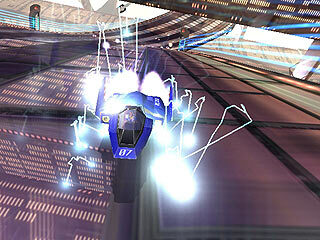 But when I've won every story course I got Deathborn. 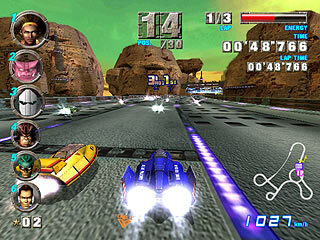 And you could build your own machine and race it. 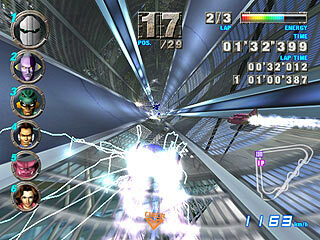 This game is the best GC game ever!